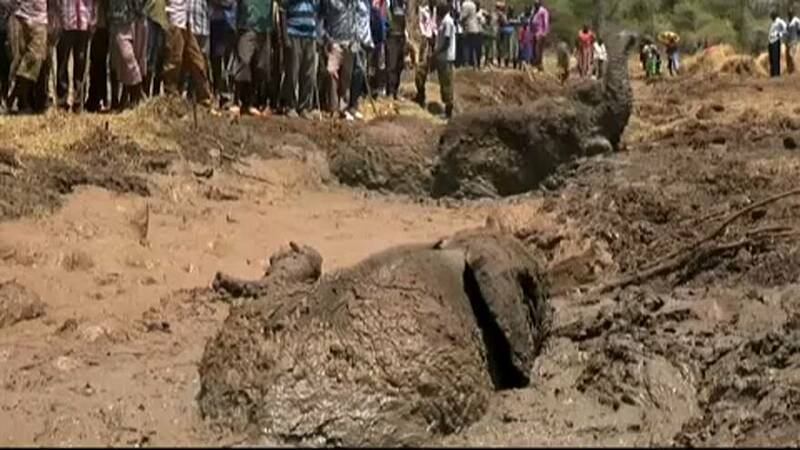 Wildlife rangers in Kenya rescued three elephants bogged down in the muddy waters of Lake Kapnarok on Monday. The elephants are believed to have been stranded while searching for water. With the mud waist-deep, the elephants were sucked in every time they stretched their trunks to break free and the rangers had to try various ways of rescue, including pouring water into the pond.